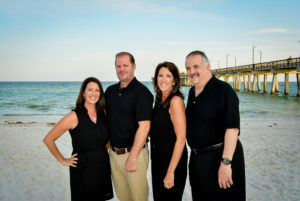 When it comes to Alabama / Florida Gulf Coast real estate, The Pete Vakakes Team at Century 21 Meyer Real Estate in Gulf Shores are the ones you should turn to! They have condominiums, beach homes, investment property and commercial property for sale in Gulf Shores, Orange Beach, Perdido Key and other prime locations. If you’re wanting real estate – you’ll need realtors you can trust. Team Vakakes offers you the convenience of viewing condos, vacation property and investment real estate listings online. View all listings in Baldwin County. Their experience and knowledge of the Gulf Coast market can benefit you with the full range of professional services provided to both buyers and sellers. For more information contact us online, or by telephone at 251-948-8008.